Haha, that's me. I just realized that there may be not even one photo of me in this blog since I started using this blog in September. Of course this blog shouldn't mostly be about me but about our great exchange students and their life in Bali (and for the last couple of weeks also in Bangkok, Phuket and Kuala Lumpur) but it'd be nice to have even one picture of me so you know who's writing all these stories. So, yeah. That's me. 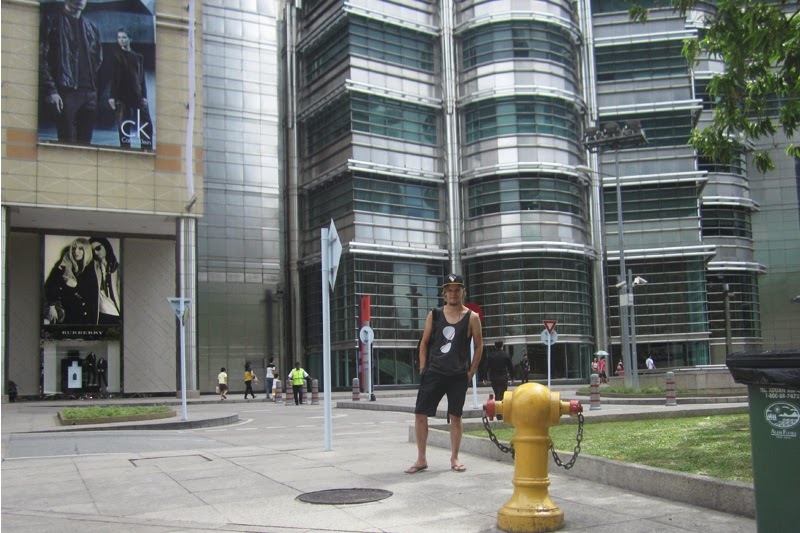 And a yellow fire hydrant (or something like this) which catch all the attention being in front of me. But yeah, that's all about me (and fire hydrants). 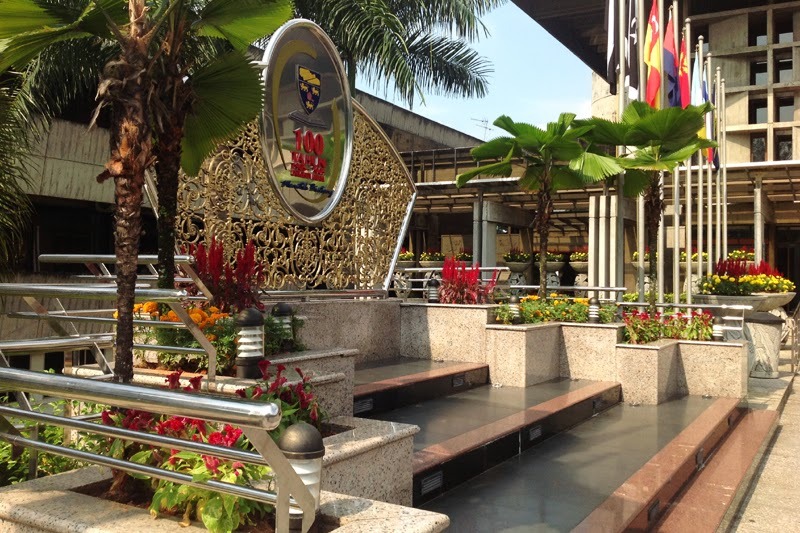 Let's move on to writing about Kuala Lumpur and especially the universities in Kuala Lumpur. I arrived in KL on Saturday night and spent the whole Sunday wandering around KL. I visited the Petronas Towers as you can see from the picture and also walked around Chinatown which seemed to be pretty nice part of the town. Otherwise I didn't have too much time to see the city but I still got pretty nice impression of Kuala Lumpur. It's quite a big city and seems to be kind of western place even though the Islamic religion of course affect everything in the everyday life there. I'm going to write at least a little bit more about Kuala Lumpur (and about Phuket and Bangkok, hopefully some kind of comparison) during this week but in this point the main focus is on the the universities I visited yesterday and today. 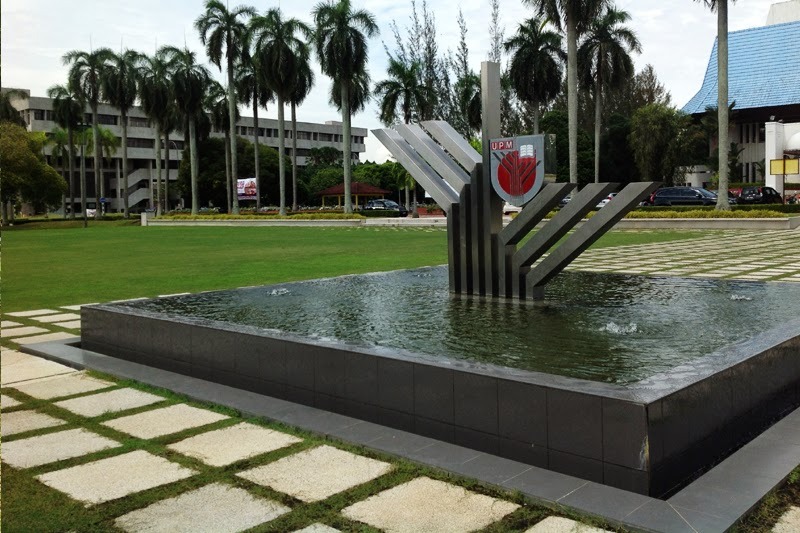 Yesterday I went to see Universiti Putra Malaysia (UPM) and today I was in the campus area of University of Malaya (UM). Both seemed to be really good and nice universities which huge but on the other hand very stylish campus areas. I luckily had also a chance to meet some of Asia Exchange students in those two universities. In UPM I met Santra and Antti who actually are the first AE students there. In UM I met Sofia and Inka. All seemed to be happy about their studies although there's not as much AE students in Kuala Lumpur as in our other cities. At this moment there's only 11 exchange students in KL: 9 in UM and 2 in UPM. Today I visited University of Malaya. If UPM was huge, UM was at least as huge as it was. For me UM was even a little bit more difficult to understand the whole area and to know where I should be going. Especially I had problems when I was trying to get out of the campus area: it took me like extra 30 minutes because I was completely lost. But maybe it's just a problem of my bad skills to understand wide areas. But yeah, otherwise UM seemed to be also a really nice university which has its own swimming pool and sport stadium, of course. In UM I had a chance to speak with our students Inka and Sofia. In the beginning of their semester they had had some problems with choosing their courses but finally all problems were solved and they found really good courses for themselves :) It's really good to hear that most of the things are working also in UM now! Unfortunately I didn't have too much time to be in UM area because I had to arrive at the airport in time. Actually I'm in the airport right now and I'm waiting that my plane would be ready to leave. So yeah, after really fun two and a half weeks I'm flying back to home in Bali! That's not too bad at all but of course it would've been really nice to spend even more time with all this great guys I met during last couple of weeks. I hope that many of them are coming to Bali and that I'll see them again there :) But now it's time to go to the plane!